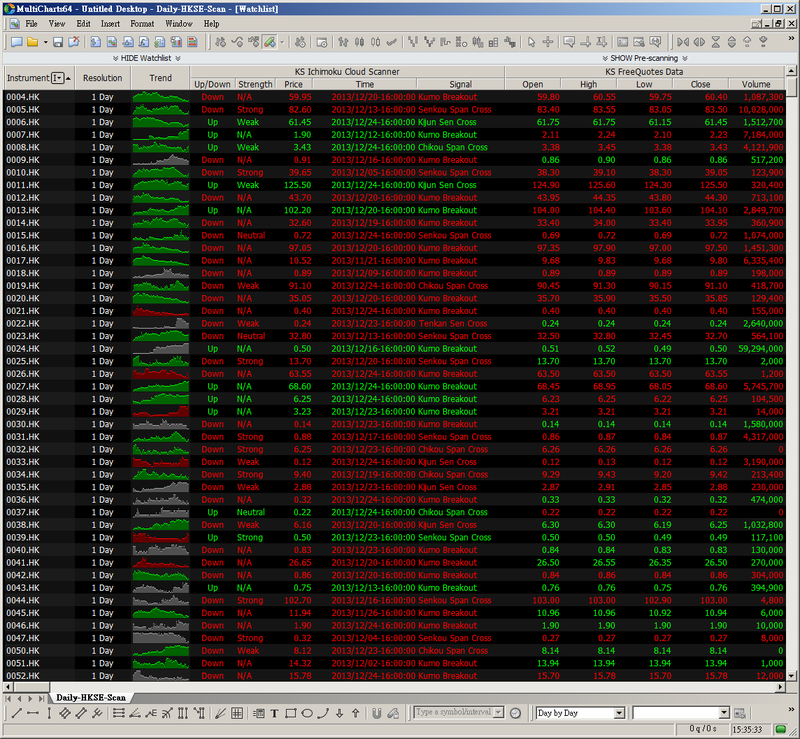 Ichimoku Stock Scanner is a powerful plugin for MultiCharts 64-bit Edition (version 8.7 or above). You can use it in the scanner window to scan a bunch of your selected stocks for Ichimoku trading signals. You can easily integrate them into your trading system.